Betspin online casino sets itself apart from the rest with its premium gaming experience and crisp graphics. There are over 400 games available, from slots, to table games and video poker. Betspin have 8 Blackjack games available. In addition to classic Blackjack, they also offer ‘Single Deck’, ‘Touch’ and ‘Professional Series’ variations. You can play for fun or, if you dare, for real money. If you’re a thrill-seeker looking for heart-pounding fun, then why not play Blackjack live, you can play either the Classic or the High Roller version. Put yourself to the test and see if you can beat the dealer and get to 21 before they do. 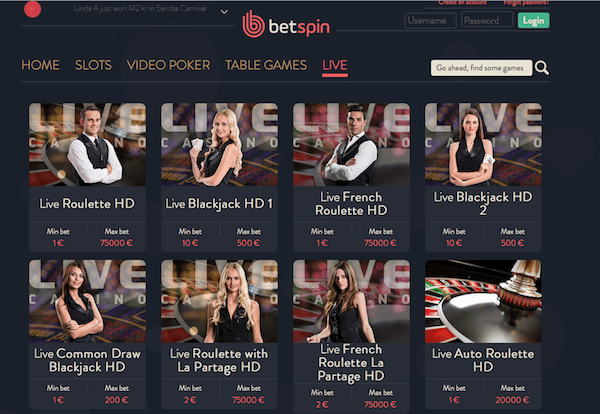 Betspin are a top-notch online casino, they have a diverse games lobby, a fantastic customer support team and a they are always finding new ways for you to claim generous bonuses and free spin offers. Enjoy all of your blackjack favourites here with Betspin today. May 11, 2017 - Offer valid as of date published. T&Cs apply.